I bought my Sandisk Sansa E140 back when it was the only mp3 player on the market that had an SD card slot. I mostly use it while driving but occasionally I use it with earphones. The earphones it came with are my favorite earphones of all time. My wife has stolen my earphones. They are now her favorite earphones of all time. It also came with a 6 inch USB cable, which I love. I don't need 6 foot or 10 foot long USB cables for mp3 players and cameras...they just become a tangled mess. 6 inches is more than I need. Where can I find more of the original headphones? Not only is this 1gb old-school model discontinued, but it's nearly impossible to find for sale...and it's like $50+ wherever I do find it. That's too bad, I was hoping to buy a few for $8 each or something. Where can I find 6 inch USB cables? 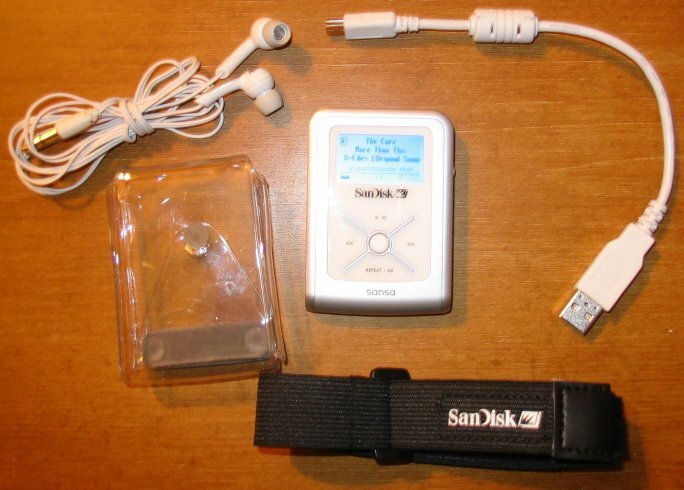 Sandisk Sansa E130 (the 512mb version, my E140 is 1gb; they both have SD slots) refurb which comes with earbuds and usb cable but it doesn't say if they're the OEM stuff or not: $13 shipped -- not posting the link so LURKERS CAN'T GET IT BEFORE I DO!!!! 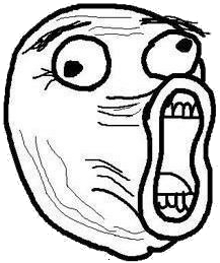 Muahahahahahahah! Yeah, it looks shorter than what the listing says. I only need 1 inch of cable and the plugs on each end for my mp3 players, which I prefer to dangle from the USB port. I need 3 inches for my camera. Any more is annoying and cumbersome. Your listing says that earbuds come with it. Are they the original earbuds that came with it from Sandisk, or are they others? I'm interested in it mainly for the original earbuds which are my favorite and are hard to find. and came with 3 sizes of the rubber thingy; I only need the smallest size. If it also comes with the very short (about 6 inches long) USB cable, that's even better for me. Also, on closer examination, those earbuds that I found that I thought might be them have slight visual differences and may not be. They may be worth gambling $8 though. this guy seems rather angry and see, the cable is 8" you lying cow! V-Moda Bass Freq earphones appear to be exactly the same thing, and one review says they are. So, while I'm waiting for my order to come in and hoping they are indeed the same in feel and sound, I have managed to get my earbuds back from my wife. She gave them back because, like all earphones she ever uses much, the wire was fraying near the connector. 2. Slip some heat-shrink tubing over it. It barely fits over the connector and leaves lots of space to shrink at the wire. 3. Fill heat-shrink with shavings from a hot melt glue stick. 4. Heat the heat-shrink, melting the hot-melt glue inside. Glue smooths out automatically from pressure from heat-shrink, squeezing out the end a little, and reinforces the whole thing. 5. Put two more layers of heat-shrink on. I should have done the second layer of heat shrink better and used better quality materials. It shaped almost perfectly except the end flared a little. The third layer had to be stretched to fit over it and didn't shrink as well as I'd like. As a whole, though, it's still pretty decent. I'm going to offer to do the same to all her future earphones, and maybe I'll do it to mine too, as proactive reinforcement. She claims that she does not pull by the cord or anything like that, but why else would all hers always break like that? liquid electrical tape u say? Also available in spray form, but I didn't think that would work well for this job. I haven't tried the spray one ever. This was the first time I used the brush one. It was sitting in my basement for 3 or 4 years now and I think it had mostly dried up, it was goop instead of liquid but it was great for this job. where would a fine gentlemen like urself and I acquire such ingenious product? I think I got both at WalMart. IIRC the brush-on was in the home electrical section and the spray was in the automotive electronic section (near fuses and bulbs and such). Oh, and Plasti-Dip should work similarly if you can't find the liquid tape. It's also available in a can of liquid and a spray. The spray does go on really thin, though. I mean, the Plasti-Dip spray. I haven't tried the liquid tape spray. Yes. It didn't go on as smooth as I wanted, it looks a little rough (but I covered it anyway), but that might be because it was dried up in the can. Either way, it was more stiff than the soft insulation that was on the wires already, but not quite as stiff as the boot that you would find where the wire goes into the connector.